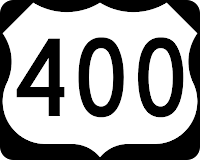 This is my 400th blog post and frankly, I am amazed. Like many, I started blogging because of Seth Godin. He convinced me that a blog was an excellent tool to sharpen my thinking on issues that I face every day. I have also found that it improved my writing, gives me a sizable online body of work and has even helped me land customers. Thanks Seth. You are a genuinely amazing person. This blog has also helped me write one book, with another on the way and it has helped me better define my business and our service philosophy. Not bad for three posts a week. I hope you enjoy this blog. And even though there are days when I stare at the keyboard cursing because I can't think of anything to write, I really do enjoy writing it. If you have enjoyed reading this blog, then please share it with your friends. Thanks for your attention. I really appreciate it.